Click on the plus sign to read the biography of each speaker. Pierpaolo Antonioli has a technical background in electrical / electronic, mechatronic and control engineering. He was named managing director of the General Motors engineering center in September, 2009. Located in Torino (Torino Polytechnic Campus), it has more than 700 employees. GM Torino has global responsibilities for the development of diesel engines, diesel electronic controls and diesel hybrid technologies for passenger car applications for the whole GM Corporation. Moreover, Mr. Antonioli holds global responsibility inside GM for development of diesel engines. Mr. Antonioli is also responsible for maintaining relationships with local, regional and national authorities in order to support and facilitate all the industrial development initiatives in which GM can contribute as an active partner of the Italian Automotive Industry. Mr. Antonioli is a member of the Advisory Board for the Attraction of Foreign Investment of Confindustria (Italian Industrial Federation) and he is a vice president of Unione Industriale (Industrial Federation) of Torino. Since July 2016, he has been chairman of CEIP (a Regional Company whose shareholders are the Region, the Chamber of Commerce, the city of Turin and the University) dedicated to attracting hi-tech foreign investments in the region and to promote the excellence of existing regional companies outside the country. Greg Archer leads campaigns for clean vehicles and sustainable energy for Transport & Environment, a Brussels based Federation of over 50 campaigning organisations working for sustainable mobility. A veteran of fights on vehicle emissions regulations, testing and biofuels he is a bête noire for the car and oil industries with a reputation as both a fierce campaigner and technical expert. A strong advocate for electric vehicles, Mr. Archer established the Electromobility Platform and previously worked in the UK in a variety of posts in universities, consultancy and Government bodies on a range of environmental issues. In addition to his work for T&E, he is also president of ECOS, the European Environmental Citizens Organisation for Standardisation. Joerg Astalosch was born in Germany in 1972. His career within the Volkswagen Group began in 1988 in Wolfsburg. After an apprenticeship and studies he worked in various roles in Procurement and General Management. From 1999 he worked for the Chief Executive Officer of the Volkswagen AG, from 2002 for the Chairman of the Supervisory Board. In 2004 Astalosch was appointed Head of Controlling and Finance of Audi of America and Audi Canada; from 2007 he worked as a General Secretary to Rupert Stadler at Audi AG. Later that year he started to work again for the Chairman of the Supervisory Board. From 2012 to 2014 he was Chief Financial Officer at MAN Truck & BUS AG, Munich, where he was responsible for controlling, accounting, IT, legal, export control & foreign trade issues and treasury. From mid 2014 to 2015 he worked again directly for Volkswagen Group's Supervisory Board Chairman. He has been the Chief Executive Officer of Italdesign since September 2015. Massimo Bovi is the head of the Pre-Series Center at Italdesign. Mr. Bovi's career started with Fiat Geotech after he graduated in mechanical engineering from Politecnico of Turin. He worked for different American multinational companies in various roles in quality and production. He started at Italdesign in 1998 as plant manager of the prototype tooling and body in white Italian subsidiary. In 2003, he took on the role of director of operations, extending his responsibility to procurement, maintenance, logistics, model shop and prototype final assembly. Mr. Bovi was named head of the Pre-Series Center in 2010. Andrea Carlucci began his career in 1997 at Ford Motor Company. By 1999 he moved to Toyota Motor Italia as zone sales manager. While there, he held various positions in marketing including product manager and product & pricing manager. From 2006 to 2009 he assumed various roles at Toyota Motor Europe before he returned to Italy as head of marketing. In 2014 he was named director of marketing strategy and communication for Lexus. In January 2015 Mr. Carlucci was appointed CEO of Toyota Motor Italia, leading the company until the end of 2017 with increasing sales and strong economic results. In January 2018 he returned to Toyota Motor Europe as marketing director. Mr. Carlucci graduated in 1996 with a bachelor's degree in political science from LUISS University. Antonio Casu is the chief technical officer for Italdesign, a position he was appointed to in November 2016. Mr. Casu began his career at Italdesign in 1998 where he worked in various roles for different customers worldwide within technical development. By 2005, he was responsible for the body exterior development department and in 2011 he was appointed head of upperbody development, including exterior, interior development and A-class surfacing. Between 2013 to 2016 he worked at Audi in Ingolstadt as upperbody development project manager. In August 2016 he took over the upperbody development responsibility at Italdesign in Moncalieri. Mr. Casu earned a degree in Mechanical Engineering by the Politecnico of Turin. Mark Cousin began his career in 1986 at British Aerospace Regional Aircraft in the Future Projects department. From 1986 to 1994, he worked on a wide variety of Future Projects on regional aircraft, business jets and the predecessor to the Airbus A400M then known as the Future Large Airlifter (FLA). From 1995 to 1998, he worked in Toulouse and Beijing on the AIA100 seater aircraft project with AVIC of China. He joined Airbus in 1998, moving to Toulouse in 2000 to head up the Airbus UK Flight Test Support team for the A340-600. In 2003 he was appointed as head of the A380 Mise au Point (MAP) team providing engineering support to the Final Assembly Line (FAL) and Flight Test department for the A380. In 2008 he was appointed as head of systems integration test in the Flight and Integration Test Centre. He was appointed to the role of technical director, Beluga XL in January 2015 to design and build the next generation of outsize air transport aircraft for Airbus based on the A330. Mark Cousin graduated from Southampton University in aeronautics and astronautics in 1986. Lapo Edovard Elkann was born in New York in 1977. After studying in France and England and gaining experience as assistant to Henry Kissinger, he was appointed worldwide brand promotion director for Fiat Group. In this role, he successfully carried out several projects in below-the-line marketing and participated in the relaunch of the iconic Fiat 500 minicar. In 2007 he undertook the entrepreneurial path founding a lifestyle brand "Italia Independent", a creative factory "Independent Ideas", and the Holding "Italia Independent Group", which was listed on the Italian Stock Exchange in June 2013. In 2011 he started a collaboration with Ferrari to create the Tailor Made Unit. In March 2015 he founded Garage Italia, a customization service for the motion industry. In July 2013 he was inducted in the Automotive Hall of Fame, the American institution dedicated to preserving and celebrating outstanding automotive achievement. He is member of the Board of Directors of Ferrari. Arantxa Alonso was named the business development officer at SEAT in May 2016. She is responsible for identifying, designing and operating new business opportunities for SEAT. M Ms. Alonso has an engineering and marketing background, with more than 15 years experience in the automotive industry. She is passionate about the challenge of redefining mobility and is aware that the biggest innovations and disruptions might only be found when looking from a different perspective, with the eyes of new partners. Arantxa Alonso received an engineer's degree in industrial engineering from the Universidad Politécnica de Madrid and a master's degree in automotive product engineering from Cranfield University, both in 2000. Thomas Ingenlath was appointed chief executive officer of Polestar on 17 June 2017, and leads the Polestar management team. 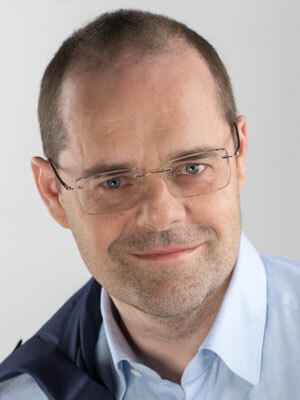 He also holds the dual-role of chief design officer for the Volvo Car Group. Mr. Ingenlath joined Volvo Car Corporation on 1 July 2012 as vice president design, arriving from a position as head of the Volkswagen Design Centre in Potsdam, Germany. Prior to joining Volvo, he has 20 years' experience from the automotive industry, after completion of design studies at the Fachhochschule für Gestaltung in Pforzheim and the Royal College of Art in London. He worked in top design positions at Audi (1991-1994), Volkswagen (1995-2000) and Skoda (2000-2006). From 2006 he was the director for design at the Volkswagen Design Centre in Potsdam, designing for all brands of the Volkswagen Group. John Krafcik is the CEO of Waymo, a self-driving technology company with a mission to make it safe and easy to move people and things around. Waymo was formed in December 2016 with the goal to improve transportation for people around the world, building on software and sensor technology developed in Google's labs since 2009. In October 2015, Waymo achieved the world's first fully self-driving trip on public roads, in a car without a steering wheel or pedals. Mr. Krafcik brings long experience in the automotive/technology space to the team, including broad operating experience in sales & marketing, product development, technology, and manufacturing, with stints at NUMMI, Ford, Hyundai and TrueCar. Previously, Mr. Krafcik spent 10 years in leadership positions at Hyundai Motor America, including 5 years as president and CEO, where he was responsible for the strategic direction and management of the company's U.S. operations. Mr. Krafcik holds an M.S. in management from the Sloan School of Management at the Massachusetts Institute of Technology, where he wrote two "lean production" manifestos -- "Triumph of the Lean Production System" and the "Running the Factory" chapter of "The Machine That Changed the World." Richard Meyer holds an engineering diploma from the INSA. He joined Groupe PSA in 1988 where he held a number of positions in IT, in charge of international commercial IT systems development. In 2010, he became head of Peugeot and Citroën LCV product strategy and projects. In April 2015, he was appointed head of future products in the Citroën product and strategy department led by Mr. Xavier Peugeot. His contribution includes building a long-term, global and coherent product range for the brand. Dr. Andy Palmer, CMG, is the president and chief executive officer of Aston Martin. He joined the business on October 1, 2014. Dr. Palmer is a British-born chartered engineer, chartered manager and businessman with 37 years of automotive industry experience. He is an indentured apprentice and graduated from Warwick University with a master's degree (MSc) in product engineering in 1990, and acquired a doctorate (PhD) in management from Cranfield University in 2004. He is a chartered engineer and a fellow of the Institution of Mechanical Engineers. In 2010, Coventry University awarded Dr. Palmer an honorary doctorate of technology and in 2014 he was appointed professor, advising the university in the automotive field. Dr. Palmer is also and industrial professor at Warwick University (2015), a Companion of the Chartered Management Institute CCMI (2105) and the first winner of the Cranfield Univeristy "The Distinguished Manufacturing Alumnus/a of the Year Award" (2106). Prior to joining Aston Martin, Dr. Palmer held the post of chief planning officer at Nissan Motor Co and was a member of the Nissan executive committee. He held a number of senior positions with the Japanese car manufacturer over the course of a 23-year career with the firm. These roles included corporate planning, product planning, marketing, sales & IT leadership and chairman of Infiniti from 2011. Dr. Palmer started his professional career in 1979 as an apprentice at Automotive Products Limited (UK). After six years with Austin Rover, he joined Nissan. In the 2014 New Year's Honours list he was named a Companion of the Order of St. Michael and St. George (CMG) in recognition of services to the British automotive industry. After completion of his first 150 days as chief operating officer of Aston Martin, Dr. Palmer announced the company's six year "Second Century" plan. A comprehensive strategy for the transformation and growth of Aston Martin, the plan laid out a series of mid-term actions, particularly in the area of new product development that will drive the growth of the company. The plan will see the entire range of current models replaced and expanded with the introduction of a new car every nine months through 2020. The first car to be launched from the "Second Century" plan, the DB11, was unveiled at the 2016 Geneva motor show. In addition to the new product plan, Dr. Palmer has secured new investment for the company, announced a second manufacturing facility at St. Athan in Wales to build a new crossover vehicle and created a breakthrough partnership with Red Bull Advanced Technologies that will co-create the AM-RB001 hypercar. Filippo Perini was born 1965 in Piacenza (North-eastern Italy). From 1993 through to 1995 he worked as a freelance designer for Alfa Romeo, FIAT Auto, MET Helmets, Aprilia, BCS, Ferrari, Castoldi Jet, Cantieri Nautici, Off Corse and as a consultant for FAST (a Federation of Scientific and Technical Associations). In 1995 he joined the Alfa Romeo Design Centre, where he worked on the interior and exterior design of GTV and Spider, as well as their Restyling versions, 156, 166, the concept car Nuvola and the SUV Kamal. In 200 I he was appointed Director of the Exterior Design of Alfa Romeo 159 and of the SC Competizione concept car. After two years, in 2003, he joined AUDI AG as Exterior Designer and the following year, 2004, was appointed Lamborghini Head of Exterior Design for projects such as Miura Concept, Murcielago LP 640, Murcielago LP 640 Roadster, Gallardo, Concept S. Since 2006 Filippo Perini is the Director of the Automobili Lamborghini Centro Stile, where he managed extremely successful projects such as Gallardo LP 570-4 Superleggera, Gallardo LP 570-4 Spyder Performante, Revent6n and Aventador as well as new concept cars and advanced projects. In September 2015 was appointed Head of Design at ltaldesign. Maurizio Reggiani completed his studies in mechanical engineering at the University of Modena and then began his career in the automotive sector at Maserati, where he was in charge of engine construction and assembly from 1982 to 1987. From 1987 to 1995 he was head of engine and transmission at Bugatti, where he was responsible for the powertrain of the EB110. Mr. Reggiani joined Automobili Lamborghini S.p.A. in 1998 as project leader for the Murciélago until 2001, when he became responsible for the R&D Powertrain and Suspension Division. Mr. Reggiani was named chief technical officer at Lamborghini in July 2006 and in is in charge of developing long term strategies, including body and chassis technologies, powertrain, suspension and electronics. He also supervises all the product-driven technologies on the 12-cylinder Aventador and 10-cylinder Huracán models. In January 2011, he added the Centro Stile Lamborghini under research and development and in 2013 he added responsibility for the Lamborghini Squadra Corse, the Motorsport division of Automobili Lamborghini that boasts the Lamborghini Super Trofeo and the GT3 Championships. Mr. Reggiani is involved in several professional societies, including SAE International (Society of Automotive Engineers) and ATA (Associazione Tecnica dell'Automobile). John Simlett is an associate partner at EY in the Strategy Practice, specializing in innovation and mobility. He holds an MSc in Economics from the London Business School where he was president and an honors degree in English Literature from the University of Wales. Mr. Simlett joined EY having been a managing partner at Corporate Value Associate, strategy director of Inchcape, managing director of Retail Solutions and a consultant at Strategic Planning Associates (now Mercer Management Consulting). He concentrates on strategy assignments and has worked extensively in the automotive, financial services, government and oil sectors. Mr. Simlett has been an invited advisor to the British Prime Minister's office and a speaker at a number of conferences and industry associations. He has particular knowledge of the Mobility Arena and a deep understanding of customer and behavioral economics through both primary research and extensive knowledge of the academic literature. Mr. Simlett has been heavily involved in advising on a wide range of strategy issues for car manufacturers where topics have ranged from operational efficiency, pricing strategy through E-commerce market entry strategy, customer satisfaction studies, network and representative strategy, to block exemption for selective and exclusive distribution and franchising. Roberto Vavassori is the president of CLEPA, the European automotive suppliers association. He assumed the role in 2016. He is also a member of the Management Board of Brembo, the Italian multinational brake system specialist, and the director for Business Development and Marketing. He joined Brembo in 1986, being involved in different departments and responsibilities, and since then, he has contributed to the development and growth of the entire organization. Among his tasks, he was responsible for the listing of Brembo at the Milan Stock Exchange in 1995 and some twenty M&A projects. He is deputy chairman of the JV between Brembo and SGL Group, and he serves on the boards of various subsidiaries. Mr. Vavassori is also the chairman of ANFIA, the Italian Automotive Association. Under his tenure the association underwent a significant overhaul for both governance and operating structure, as well as financial and economic results. Mr. Vavassori was a CLEPA vice president and he has been a member of the CLEPA Board of Directors since 2004. He holds a degree in Business Administration. Max Warburton is the head of global automotive research at investment research firm Bernstein. He has followed the auto industry for over 20 years, advising investors, corporates and government on auto industry financing and strategy. Mr. Warburton worked on MIT's International Motor Vehicle Program from 1998 to 2000, where he specialized in auto manufacturing efficiency analysis. He then became a sell-side analyst, first at Goldman Sachs from 2000 to 2005 and then at UBS from 2005 to 2008. He joined Bernstein in 2008. Max Warburton has been consistently the most highly ranked European autos analyst for more than a decade. He was based in Asia from 2012-2016 where he added coverage of Chinese and other Asian automakers, before returning to London. Since September 2010, Dr. Annette Winkler is head of the smart product division within Daimler AG, with total overall responsibility for the smart brand. She reports to Britta Seeger, Member of the Board Mercedes-Benz Cars and responsible for Marketing & Sales. At Air Liquide S.A., Dr. Annette Winkler holds a supervisory board position since 2013. After training as an industrial clerk Dr. Winkler studied Business Management in Frankfurt, where she obtained her Doctorate in 1986. From 1984 to 1995 she was the managing shareholder of a medium-sized construction company. In 1995 she started her career at what was then Daimler-Benz AG as head of public relations and communications for Mercedes-Benz in Stuttgart, and from 1997 to 1999 she was head of the Mercedes-Benz sales and service outlet in Braunschweig. After that period she became chief executive officer (Chief Executive Officer) of DaimlerChrysler Belgium and Luxembourg in Brussels. From 2006 to 2010 Dr. Winkler was responsible for managing Daimler's entire sales network as head of global business management & wholesale Europe in Stuttgart.